Spectators in the stands of the Zeppelinfeld look on as Adolf Hitler's car moves towards the speakers' platform at the opening of Reichsparteitag (Reich Party Day) ceremonies in Nuremberg. The Zeppelinfeld was part of the Nazi Party rally grounds. 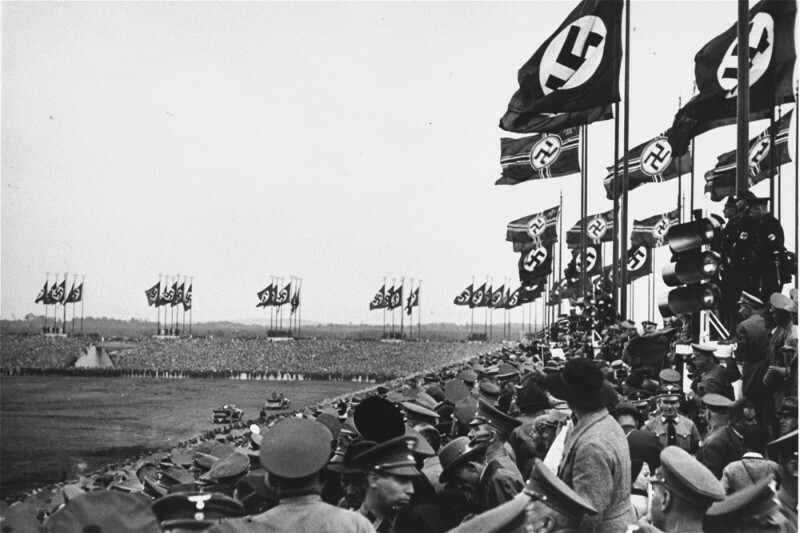 Nuremberg, Germany, September 1935.